Southeast Asia brings different pictures to mind, for me, it’s a tropical paradise. Not only are there mountains, waterfalls and temples galore but the beaches are rivalled by no other. I’m talking smooth white sand, crystal turquoise shores and those epic Instagram beach swings that we all know and love. 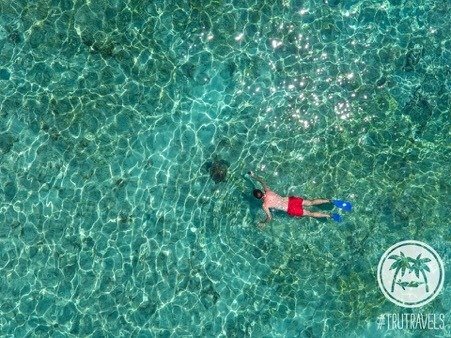 It’s like the Maldives but better…it’s CHEAP! After day 4 with TruTravels I honestly thought I’d never find anywhere in the world as beautiful as Khao Sok National Park (and I’m still sceptical). Upon leaving behind the lake in the morning with tears in my eyes, the wise TruCrew promised me, ‘we’re going somewhere just as beautiful next’ and they weren’t wrong. 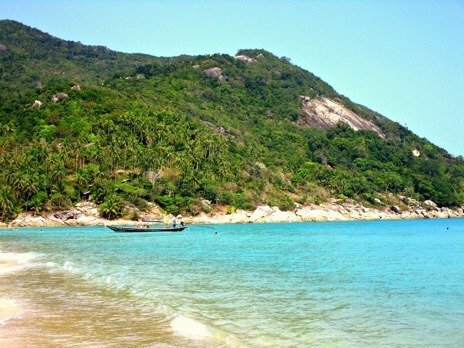 Bottle Beach is far from the madness of the Full Moon Party in the southern part of Koh Phangan. Venture North to this hidden gem and take the VERY bumpy road to the tropic tranquillity of this epic beach. Bask in the Asian sun and sip on a fresh cocktail surrounded by...HARDLY ANY PEOPLE! It’s always worth getting off the beaten track in Southeast Asia. You may think all there is to Southeast Asia is Thailand and its awesome islands but you’re very wrong. 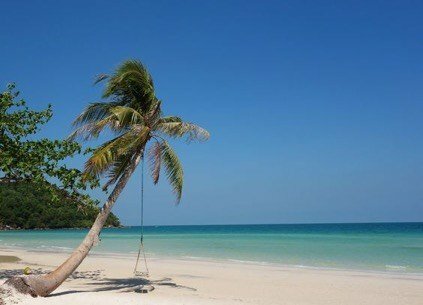 Enter Koh Rong Samloem – Cambodia’s best kept secret...for now. The Sihanoukville region of Cambodia reaches into the Gulf of Thailand so you can expect a similar site for adventure hungry eyes. 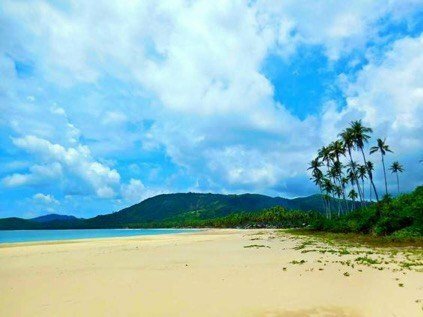 Koh Rong, it’s more popular and larger sister island is flocked to by travellers on the daily, catch a short boat ride and arrive at this hidden gem for a true piece of tropical heaven. There won’t be WiFi and the electricity is limited which is what makes this beauty so special. Soak up the views and explore the 9km long stretch of beach bum bliss. Nowhere means ‘heaven on earth’ more to me than El Nido in the Philippines. The island fronts the brochures to most Philippines travel guides you will find and has been regularly called the most beautiful place in the world. This means that many travellers flock there to see the postcard snaps with their own eyes. If you’re lucky enough to venture to this stunning place get yourself to Nacpan Beach. The vast stretch of sand is raved about by many adventurers and accessible only by scooter, the 45 minute drive is well worth it! Watch the sunset and spend hours lazing on the pearly white sands of your own private paradise. Phu Quoc Island is home to this peaceful hideaway. The ‘old’ dirt-road route deters groups of travellers from reaching this paradise, which means even more white sands to yourself when chilling under the palm trees and listening to the waves wash away all your worries. The water here is crystal clear so when you’re bored of soaking in the unbelievable views (it is even possible to get bored of that?!) then you can take to the water and spot the local residents. Bali is the Hawaii of Southeast Asia. The stunning island is full of lush greenery, swaying palms and gorgeous beaches to watch the sunset from. The only issue, we aren’t the only people who know this...Bali has become built up and commercialised for all the tourists who flock there so catch a high speed ferry out of there and get yourself to the Gili Islands. These three floating paradise islands are where the tranquillity lies. Gili Air is the best of the three for hidden and quiet beaches that you can often have to yourself. Venture to the quieter North-eastern side to find the Maldives of Indonesia on Gili Air’s white sandy beaches and clear shores filled with amazing coral reefs to explore. 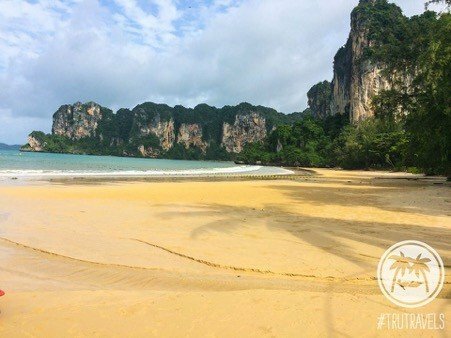 Are you up for hunting down our Top 5 Hidden Beaches Southeast Asia route take a TruTravels tour with code TRULM7 and see for yourself!